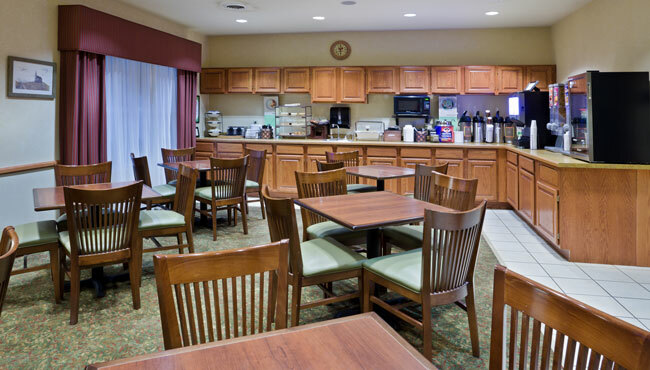 With skiing, boating, hiking and more, Iron Mountain offers a seemingly endless array of activities, and the Country Inn & Suites makes it easy to fuel up for those adventures with our free, hot breakfast. Pile your plate high every morning with hearty breakfast items like omelets, bacon, sausage and waffles. Looking for lighter options? Fresh fruit, yogurt and pastries are also available. Later in the day, stop in for lunch or dinner at nearby restaurants like Spiro’s, Pizza Pete’s or Holiday Kitchen.